Transcription from Telephone Interview with MS stem cell patient, Wes Meadlock. I’ll start from the beginning and tell you what I know. In 2011, I started feeling something was wrong, and went to a neurologist here in town, went to his MRIs, and all his little testing, and this and that, and he said, “You’ve either got Lyme’s disease or MS.” The reason they said Lyme disease is because we have a place deep in the woods, and we stay there a lot on the weekends for a couple of years, and I got a lot of tick bites. We went through the whole thing of MS or Lyme’s disease, so I was thinking, maybe that’s what I got? I’m not quite normal but I’m pretty close, at 80-85% of being normal. …but compared to some other people I know who have MS that I’ve done some aquatic classes with, I am far superior to them. I really believe this stuff works. In the meantime, my father’s wife has had cancer pretty bad a couple of times, and he knows a lot of people at U. of Alabama at Birmingham; a really good hospital. He said, “I know somebody up here who’s really good with MS, why don’t you come up here and have him test you.” So, I went up there in the fall of 2012 and he did his testing, and he was telling me, “You have MS.” He said he could get me into some clinical trials, and I was thinking, “I don’t like pharmaceutical drugs.” I said, “If I could find something else, some other way, I’m going to try it.” I’ve been doing a lot of Internet research and talked to a few other people who said you should try some stem cells, so I did that. I went to Panama the first time. I did the liposuction, and they tried to get 90 million cells from me, and they could only get 45 million. I’m rather thin and wasn’t in too good a health at the time. They said, “We’ll mix it with some umbilical cord to get you the 90 million, so you’ll get 45 of your own and 45 of umbilical, and I think that was a two week ordeal to get that treatment. I came back home and was feeling so much better. At that particular point I was having a problem walking with my left leg not cooperating, so when I came back from there, I felt like I’d gotten a good bit better. So, I decided to go back the following year. 2013 was the first time I went, and in 2014 they said, “Do you want to do umbilical?” I said no I do not, so they said they’d try something else. It turned out to be the umbilical cord cells, and when I got done a doctor told me, “You should be good for three years.” That’s where I am now, and I decided in the last few months that I need to go back again. When I called they said they had an opening on March the 13th and I said, “Okay, I’ll take it.” I just felt like, basically I don’t do any other drug, and I do believe it helps. The only one I do now is Naltrexone. It’s a 4.5mg dose of that and it sure helps my coordination and my walking. I’m not quite normal but I’m pretty close, at 80-85% of being normal. That’s about where I am now. I’m not 100% but compared to some other people I know who have MS that I’ve done some aquatic classes with, I am far superior to them. I really believe this stuff works. Multiple Sclerosis patient, Sam Harrell has no more use for his walker after stem cell therapy! Here is an update from Sam Harrell who was speaking at our public seminar in Southlake, Texas in October, 2015. 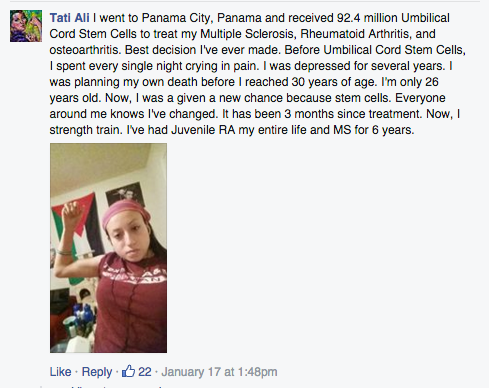 Sam has been to the Stem Cell Institute in Panama several times for umbilical cord mesenchymal stem cell therapy. The beginning is about as inspirational at it gets! Go Sam! Sam, who suffers from multiple sclerosis, was forced to retire as Ennis (Texas) High School’s head football coach due to his debilitating symptoms. Sam’s first two treatments using stem cells harvested from his own fat did not yield long lasting, positive results. However, after his third and fourth trips to the Stem Cell Institute in Panama for umbilical cord tissue-derived mesenchymal stem cells, Sam’s life turned around. Now, Sam is back in the game again! 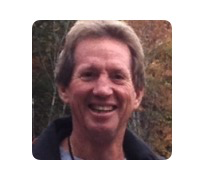 Ron McGill suffers from relapsing-remitting multiple sclerosis. He was started experiencing symptoms in 2009 but was not diagnosed with MS until January of 2013. He received several infusion and injections of human umbilical cord-tissue derived stem cells at the Stem Cell Institute in late October and Early November 2013. In this video, Ron shares his story of discovery and recovery at a Stem Cell Institute seminar in San Antonio in October 2014. I was diagnosed with relapsing-remitting MS in January of 2013. My symptoms started with tingling and numbness in my hands and feet migraine headaches in April, 2009. Visits to the doctors concluded that job stress-related migraines were all it was. My high tolerance for pain accepted the results and I went on with life. This was an extremely poor decision on my part. My symptoms remained constant but non-progressing until November of 2011. In attempting to kick a soccer ball, I lost my balance and I fell. I wrote it off as being out of shape and clumsy. A fall on a treadmill and down a stairwell in early 2012 was my final wakeup call. It solidified that there was more wrong with me than normal. My quest to find out what was causing my issues and how to resolve them was started. Starting from behind and (inaudible) to catch up, I did several things. I made immediate dietary changes. Sodas, fast food, canned food, alcohol – eliminated. Red meat, dairy, bread, pasta – reduced drastically. Chicken, fish, fresh fruits, vegetables – doubled. I went on a weight loss and body detox regimen. I replaced impact aerobic exercises I could no longer do with swimming. I made the most of my insurance. I literally became a human pin cushion. Everybody was sticking me. I looked outside traditional medicine: acupuncturist, building my immune system and pure vitamin regimens. 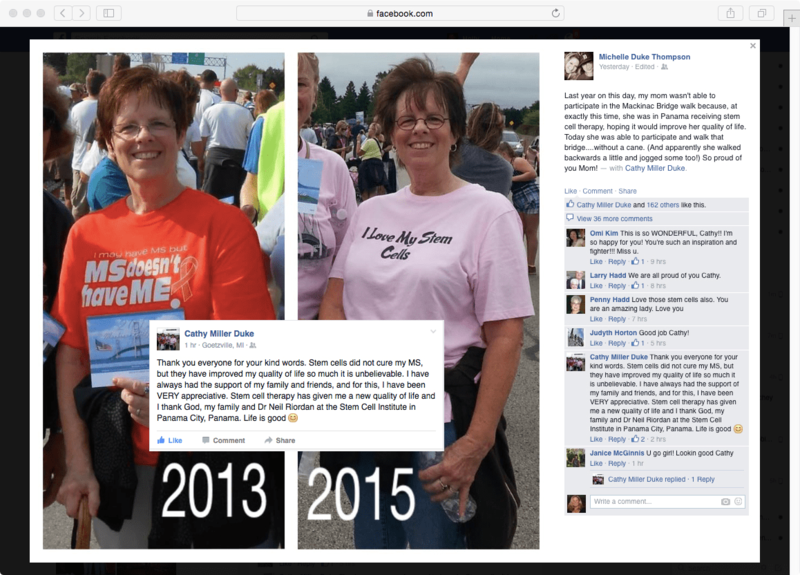 While I made great strides in changing my life, I was testing healthier, a progression of worse symptoms continued to happen. Severe leg and back aches, leg stingers, twitching, lost grip and more loss of balance. It was determined that MS was my cause. My instability had me falling one to two times a month. I reached my lowest point waking up immobile from the waist down on a Wednesday morning in February of 2013. With my motor skills seemingly erased from my memory, a deep cloud of panic overtook me. My confidence went out the window. I had to dig down extremely deep. I was able to regain mobility later that evening. I progressed to a penguin walk and very limited speed and distance over the next 6 months with the help of a walking stick and physical therapy. Hours of online research for possible relief led to stem cell therapy. After many months of research, doctor consultations, numerous conversations with people who had had stem cell therapy, heard about it, had relatives who had experienced it, I sent the email to the Stem Cell Institute. After being accepted, I still had more conversations with Dr. Barnett and Cindy, asking more and more questions. They were extremely patient to everything I had. The care provided for me upon my arrival and during my stay and departure in Panama was extremely good. The facility was simple, clean, efficient with a very helpful and friendly staff. The procedure was well-explained to me and carefully administered. I was able to see results on my way back (on) November 3rd. I was able to walk farther and feel better. I was able to my walking stick in the back of my car for good two weeks later. Knock on wood, I haven’t fallen since October 23rd of 2013. My stamina, walking speed and stability have continued to increase. I do have momentary balance loss and heat can still wipe me out. My MS is still with me. Do I feel (that) Panama was the right choice? For me, absolutely. I feel the infusion of healthy cells gave my body a huge boost to recover the majority of lost motor skills I had experienced. It also helped amplify the lifestyle changes I was already making to give me a faster and more positive result. These successes have given me a more positive mental state that have allowed me to heal more and more. 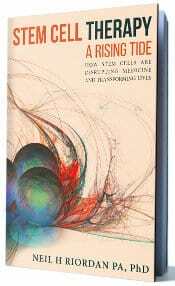 What advice could I give you about stem cells? Research, research, research. There isn’t a price you can put on due diligence when it comes to your health. 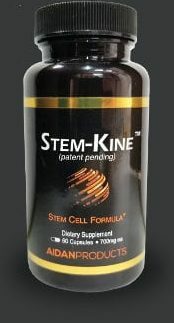 Make lifestyle changes at the cellular level in your body and amplify it with stem cell therapy. In closing, I’d like to thank my wife for undying support and hours of research. 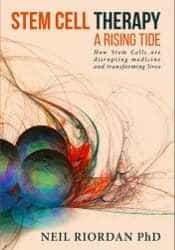 I’d like to thank Dr. Riordan, (and) Stem Cell Institute for being at the cutting edge of healing diseases and I’d like to thank you all for allowing me to share with you today. CLIFTON, Colo. – Even with all the advances in medical sciences over the years, multiple sclerosis remains mysterious in both causes and symptoms. There is no known cure for the disease, but one Clifton resident isn’t waiting on the US government anymore and is planning to fly to Panama for a stem cell therapy. Pam Claypoole was diagnosed with MS almost a decade ago and has slowly lost the feeling in her legs and right arm. She said since the FDA currently doesn’t approve any stem cell therapies for her disease, she’s planning a second trip to Panama in hopes to improve her condition. Claypoole said she’s made one trip to the Stem Cell Institute in Panama more than a year ago and was amazed by the effects. She emphasized her treatment doesn’t involve unborn fetus stem cells but rather the stem cells taken from healthy birthed babies umbilical cords. Her family is currently planning a live auction on May 14th at the Western Slope Cattleman’s Livestock Auction in Loma. The event starts at 6 pm, and they’re hoping to collect $20,000 dollars to fund Pam’s therapy in Central America.